This shameless, self-absorbed website's mostly just to show people back home that we’re doing something and to post favorable pics of ourselves, etc. Enjoy! Here's the homepage after the redesign. 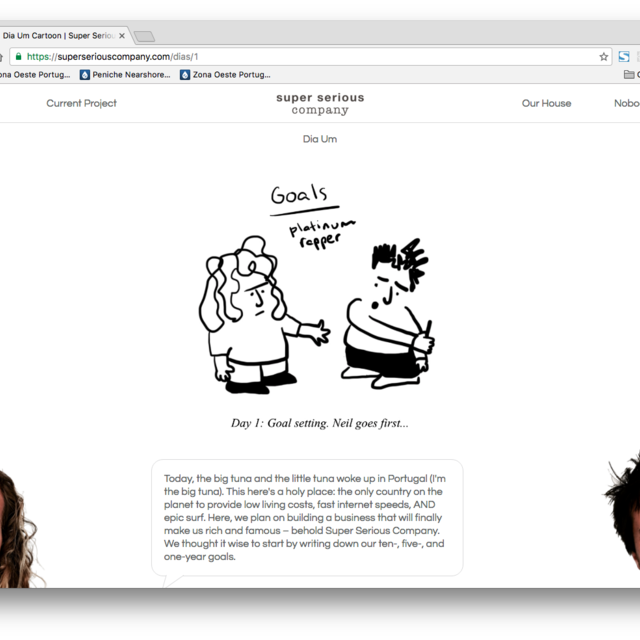 The new header allows for more tabs and gives more space for page content; the cartoon pops against the white background; the font is generally thinner, which looks better on desktop; the Santi/Neil face at the start of the attributed quote gives readers immediate context around whose saying what; etc. 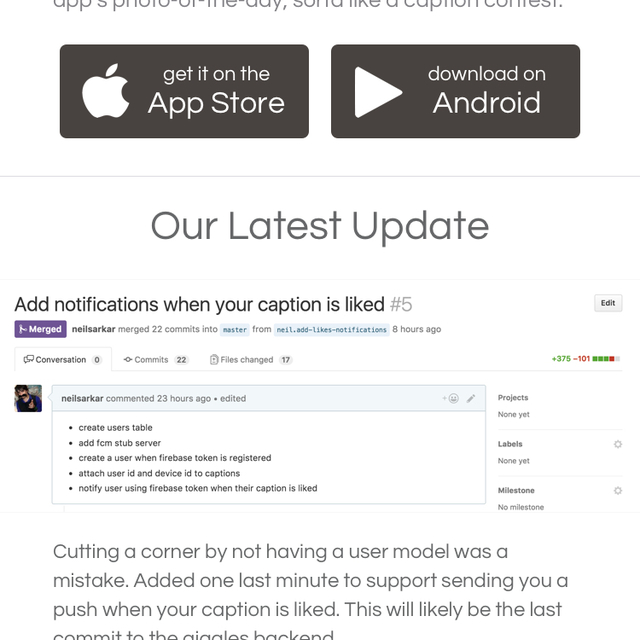 Here's the mobile version of the project page. Same as desktop, except you'll see the latest update in full, above all the others' thumbnails. This is a project page on desktop. In this case, it's what you see if you click the Giggles icon on the projects page. You can click on the updates, too. Here's what happens if you click on an update thumbnail on the project page. You can see the fullscreen image, see an attributed quote about the progress update, and click left or right arrows to view other updates. Here's where you can see our projects. The top row has apps that are currently in progress; anything below that we consider finished.